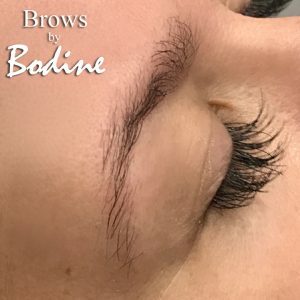 Microblading is a technique that allows an artist to design semi-permanent eyebrows (lasts 1-2 years) by applying pigment to the brow area in fine strokes that simulate the appearance of natural eyebrow hair. The artist uses a specially designed pen to create a shallow scratch in the skin. Natural vegetable and mineral based pigments are painted into this scratch. When the skin closes over the scratch, the pigment is trapped just under the surface. It will gradually exfoliate away, as the skin naturally sheds over time. The pigment will typically last for 1-2 years, depending on the color used, and how quickly the person’s skin exfoliates. Other factors like sun exposure and exfoliating skincare products can also affect how long the pigment lasts. 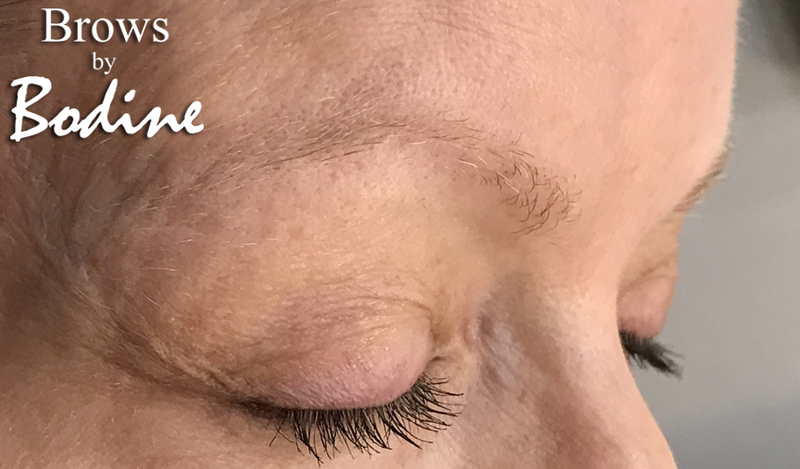 When it begins to fade, a touch-up session can be scheduled to apply another layer of pigment, keeping your new brows looking fresh and beautiful! 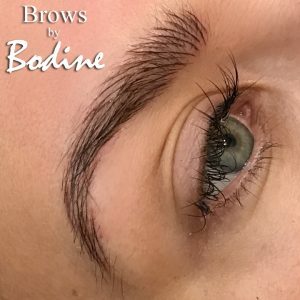 If you want beautifully designed, semi-permanent eyebrows, Brows by Bodine in North Dallas offers the highest quality eyebrow shaping and microblading artistry. No. 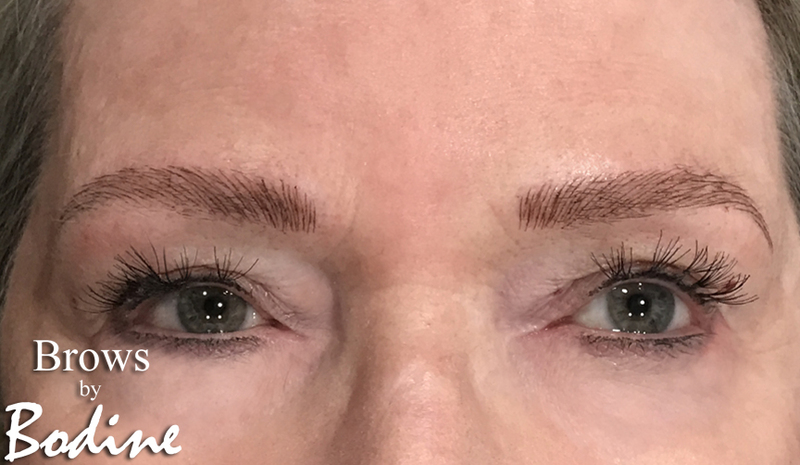 Microblading should be completely comfortable if the artist uses the correct topical anesthetics and takes the time to allow the brow area to become fully numb, before beginning the procedure. 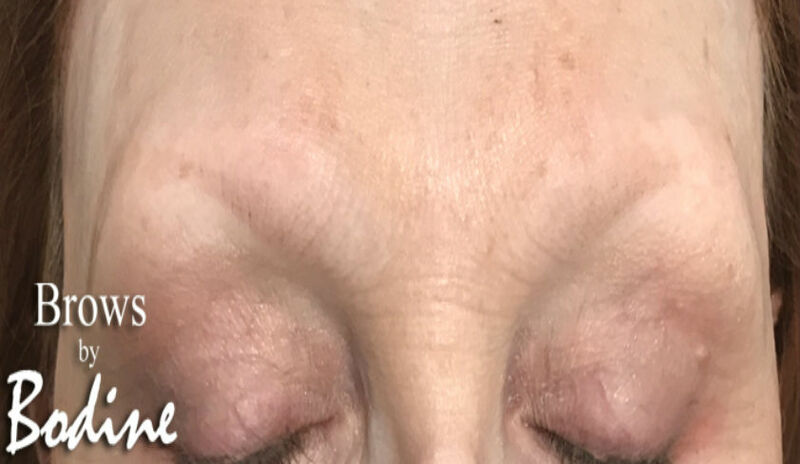 If you have read stories of painful microblading experiences, the most common cause was that the microblade artist did not allow sufficient time for the anesthetic to work. (The other mistake some artists make is to assume that all skin types will respond equally well to the same anesthetic products.) Don has different protocols for thin skin, sensitive skin, thick skin, oily skin, etc.…. With careful numbing technique, EVERY client’s brow area can become fully numb. Don is committed to taking whatever time necessary to make the whole experience of microblading comfortable and enjoyable. How long does it take Microblading to heal? Approximately one week. During that time the client will want to be gentle with their brow area and keep it clean. 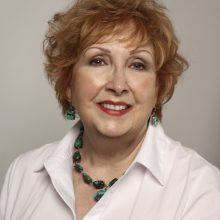 While the brows are healing, the client will want to avoid swimming pools (chlorine), sun tanning, long hot showers, or similar activities that would interfere with the healing process. 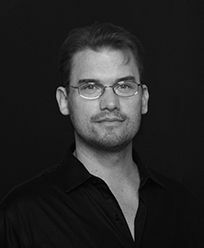 Don Bodine of Brows by Bodine provide a full after-care instructions for each client, depending on their skin type. It’s simple, and encourages quick healing, with minimal visible flaking or redness. You can go to work the next day. Example: The dots around the brows indicate the desired shape of the brows. 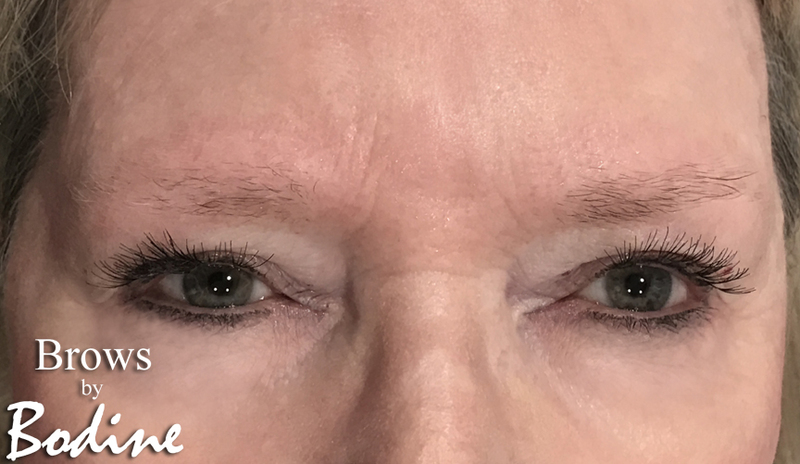 When shaping the eyebrow, my goal is to create a natural look, that is most flattering to each client’s unique features, coloring, and personal style. extremely professional and thoroughly explained the procedure beforehand and what to expect afterward. ZERO discomfort either during or after. If you follow his before and after care instructions, you will have no issues at all. “What a fabulous new cosmetic procedure!!! and be ready to go- one less thing I have to do!! “What an amazing thing has happened to me….. I have eyebrows now & gorgeous ones at that . 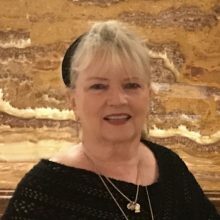 Due to a chronic thyroid condition I have not had eyebrows for an awfully long time…. How embarrassing to look in a mirror realize your eyebrow is smudged or missing…. not anymore! 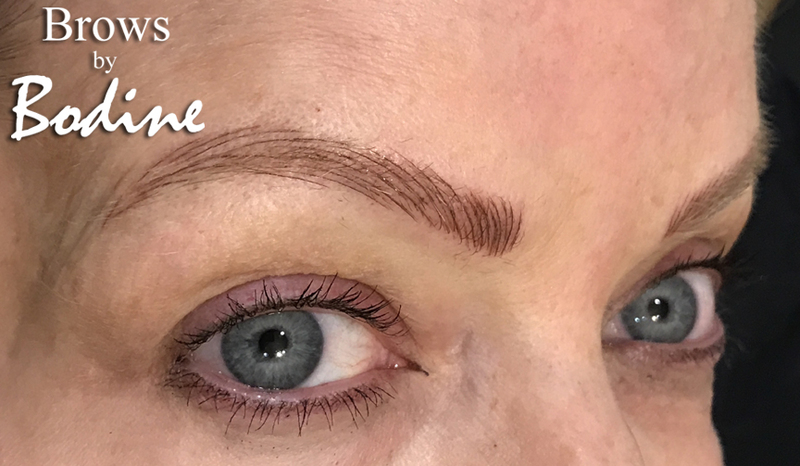 Microblading can be used to enhance an existing eyebrow, fill in an eyebrow that has less density due to hair loss, or that is not visible because of blonde or gray hairs. 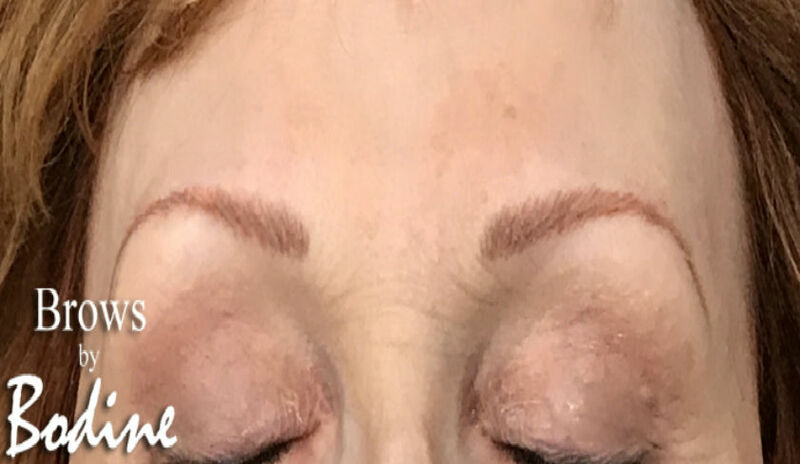 Microblading can create eyebrows from scratch, for a client who has total hair loss from Alopecia, thyroid conditions, or age-related eyebrow thinning. 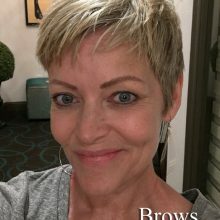 Don at Brows by Bodine studio is in the North Dallas area and also services the Plano, Highland Park, Ft. Worth and DFW communities by offering premium quality eyebrow microblading.